Design handmade birthday cards for mother, father, sister, spouse and special friends in minimal time and efforts. Want to design customized handmade birthday cards for your nearest and dearest ones? Birthday Cards Maker Software helps you to design and print birthday cards for your nearest and dearest friend. Birthday card software has inbuilt multiple card designing objects including pencil, text, line, ellipse, rectangle, arc, triangle and star objects to create homemade birthday cards in minimal time. ◈ Birthday card creator software has ability to create birthday cards in minimal time and efforts. ◈ Birthday card maker program provides inbuilt color and background settings to create birthday cards in different colors. ◈ Birthday card designer software can design birthday cards in different shapes including rectangle, ellipse and rounded rectangle as per requirements. ◈ Birthday card making program provides facility to modify created birthday cards according to user requirements. 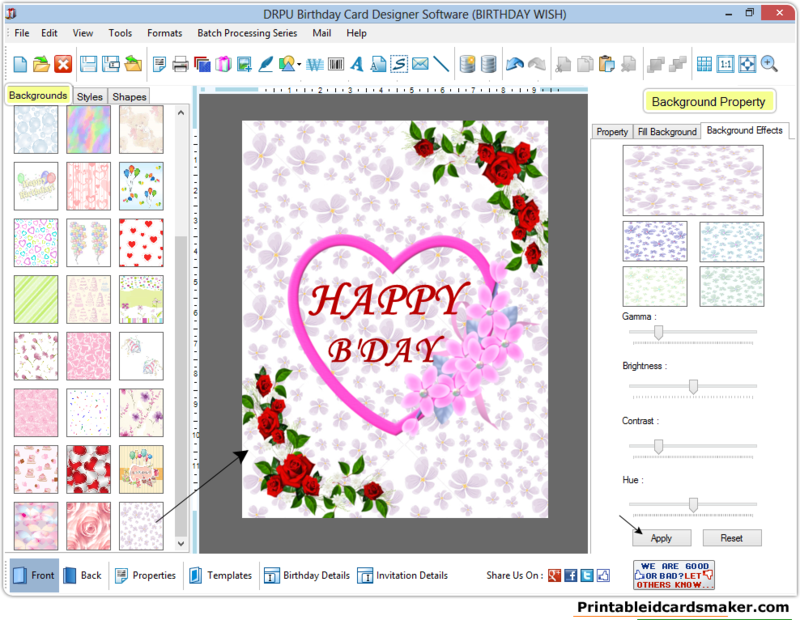 ◈ Birthday card generator software provides inbuilt flexible printing settings to print created birthday cards. 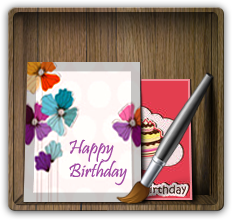 ◈ Birthday card allows user to save designed birthday cards at any location on the PC for future reference. You can add family photographs, images, pictures, clipart, personalized messages and graphics to design personalized birthday cards. Birthday card creator software has inbuilt various card designing objects including pencil, text, line, ellipse, rectangle, picture, Arc, Triangle and star objects to create customized birthday cards. Birthday Cards Maker Software is designed and developed with advanced color and background settings including solid color, gradient, image and style settings to design colorful birthday cards.